If you like the pure survival horror games, in which the atmosphere is scary and gruesome and the ammunition is coming to an end, then The Evil Within game is just the one you need. Yesterday this upcoming project got another trailer and we are ready to share it with you. The Evil Within game is an upcoming survival horror from Shinji Mikami - famous Japanese game designer, who has created Resident Evil series. The project will be published by Bethesda and is coming sometime in 2014 for PC, next and current generations of consoles. In The Evil Within you are playing a role of detective, who is investigating the terrible mass murder. In newly released The Evil Within trailer you will meet the game's protagonist and get to know that some mysterious power from the other world has caused this horrifying crime. To find out more about the upcoming game and feel its extreme tension, watch the project's video that will be officially presented on Tokyo Game Show this week. 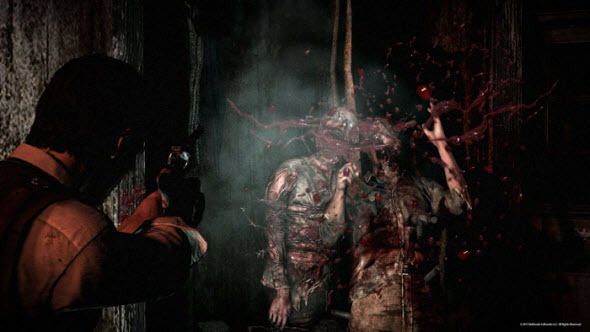 What do you think about The Evil Within game and its new trailer? Write your opinion in the comments below.